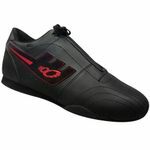 Supportive footwear with a good grip is essential if you're serious about your weightlifting. 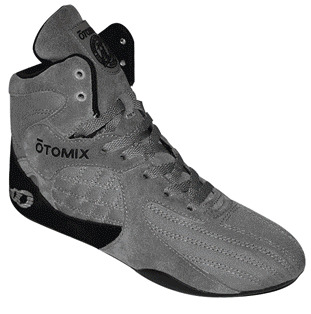 Our niche range of weightlifting shoes have been designed to provide a combination of firm support for stressed joints, in addition to offering optimal assistance with balance and power. In addition to providing great performance and a high degree of longevity, every boot we manufacture is designed to look fantastic. A selection of appealing colors and patterns ensures that no matter what your tastes may be, we have appropriate footwear on offer. Because we manufacture the products we sell, we provide knowledgeable customer support that's based on a comprehensive understanding of the advantages which our products bring. Every member of our team is passionate about enabling our customers to enhance their sporting performance through high quality, technologically advanced products. Many of our products are used by professionals, but are equally suitable for novices or amateurs. If you love your sport, we've got the clothing and footwear you need to maximize your chances of success. For further information about us and our products, or to place an order, call us now at (800) 597-5425.